The School of Motion Pictures & Television offers great opportunities for students to gain hands-on filming experience with a variety of local and national organizations. The network they build from this opens up further possibilities for film production internships. Our partnerships give students the chance to apply their creative skills in and outside the classroom. 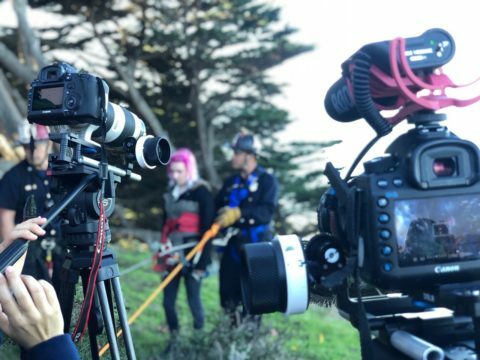 As part of the Production Hub course, our film school students collaborated with the San Francisco Fire Department (SFFD), the National Parks Service, the US Coast Guard and the National Weather Service to film a joint PSA project. In an action-packed shoot, the students captured a surf rescue featuring actual San Francisco Fire Fighters and Coast Guards. The experience not only provided valuable content for the students’ reels, but also gave them insight into the real world of the film industry.